Although data center is migrating from 10G/25G to 40G/100G and beyond, it is often necessary to connect 40G/100G equipment with existing 10G/25G equipment. Base-8 cabling system is the most commonly used for 40G to 10G and 100G to 25G short and middle distance transmissions. But cable spaghetti has often occurred in the high-density breakout cabling environments. 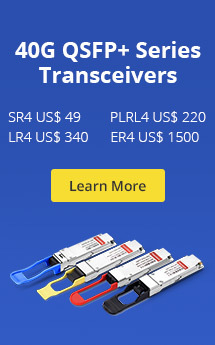 Therefore, FS.COM provides FHD, FHX and FHU solutions for Base-8 cabling, including both single mode and multimode versions. For 40G to 10G and 100G to 25G, FHD MTP-8 migration cassettes are available with 8 fibers MTP-8 to LC cassette and 24 fibers 3 x MTP-8 to LC cassette (a compact version). They are usually installed in the FHD high-density rack mount fiber optic enclosures which can hold four Base-8 MTP to LC cassettes. On the front side, LC fibers are used to connect the LC ports of Base-8 breakout cassette; On the rear side, MTP trunk cables are used to connect the MTP-8 ports. The following picture shows the high-density Base-8 cabling solution by utilizing FHD series components. The FHX MTP-8 cassettes is a kind of fiber cassette module that can convert a single lane of parallel optic signals into 4 discrete duplex LC channels. It is structured with LC adapters on the front side and MTP adapters at the rear of the fiber cassette. So this Base-8 MTP fiber cassette is designed to upgrade existing LC links to SR4 parallel optics without wasting any of the fibers inside the cable. Besides, the FHX MTP-8 MTP/MPO breakout cassette is always mounted into FHX fiber enclosure for high-density cabling in data centers, for the reason that the FHX ultra high-density rack mount fiber enclosure can hold up to 144 fibers in 1U space. The combination of FHX fiber enclosure and MTP-8 cassettes is ideal to deploy a Base-8 connectivity solution for use in main, horizontal and equipment distribution areas. The following picture shows the ultra high-density Base-8 cabling solution by utilizing FHX series components. FS.COM FHU 96 fibers MTP-LC breakout patch panels are specially designed for these Base-8 applications, providing up to 48 10G/25G distributions. The front panel consists of 12 groups of 8 LC adapters for 10G/25G, and the rear panel is 12 MTP-8 ports for 40G QSFP+ or 100G QSFP28. On the front side, LC fiber cables are used to connect 10G/25G ports; and on the rear side, MTP fiber cables are used to connect MTP-8 ports. With the certain optical equipment, higher-speed equipment can be connected to slower-speed equipment successfully. Therefore, this Base-8 breakout patch panel allows for an easy upgrade path moving 40 to 4 x 10GbE or 100 to 4 x 25GbE connectivity. By the way, this high-density breakout fiber patch panel is available with both single mode (FHU 96 fibers MTP-LC OS2 breakout patch panel) and multimode (FHU 96 fibers MTP-LC OM4 breakout patch panel) versions for specified applications. Base-8 cabling system can accommodate transmission speeds of 10G, 40G, 100G and beyond. 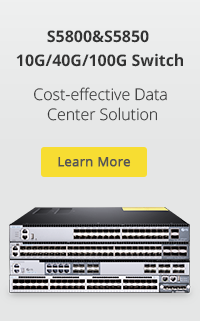 For 40G-10G & 100G-25G connectivity, Base-8 breakout cassette and patch panel are your primary option for direct connection between LC and SR4 link. It can not only improve the cable management and protection or save your valuable space, but also eliminate additional cost and insertion loss. All in all, Base-8 structured cabling is the best investment for the future proofing. This entry was posted in Cables Management and tagged fiber cassette module, fiber optic enclosures, fiber patch panel. Bookmark the permalink.